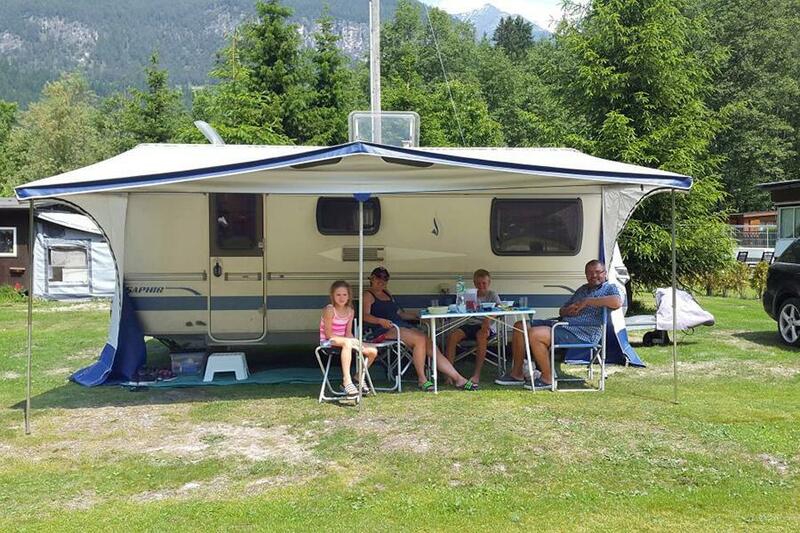 At Campsite Islas in Filisur (Graubünden) camping costs as little as €18,- per night during low season with CampingCard ACSI. At one of the 120 touring pitches you will get a discounted rate during the period 01-04-2019 - 30-06-2019 and 01-09-2019 - 31-10-2019. At this campsite you can not only use your CampingCard ACSI for inexpensive camping, you can also use your ACSI Club ID (as an alternative ID). A sheltered and very tranquil location in a valley on a level grassy field. Modern amenities. There is a modern 18 hole Alpine golf course a few kilometres from Alvaneu-Bad and therapeutic sulphur baths with many facilities. Ruhiger Stellplatz. Hat alles was es zum kurzzeitigen Übernachten braucht. Gute Begegnungen wirst du aber hier als Fremder nicht finden. Wie schnell Dauercamper alles verlernen. Adieu. Wir haben auf dem Camping Islas das ultimative "Wohlfühl- und Verwöhn-Wochenende" verbracht: Essen wie Gott in Frankreich, gesunde Bündner Bergluft, ausgedehnte Spaziergänge in der nahen Region, abendlicher Bummel durchs nahe Dorf, etc. Ideal um die Seele baumeln zu lassen! Seit 2012 unter neuer Führung! Sehr nettes und flexibles Pächterpaar, da fühlt man sich sofort wohl! Liebe Campinginteressierte. Wir möchten Ihnen auf diesem Wege mitteilen, dass ab April 2012 ein neues Pächterpaar den Platz betreut. Wir wünschen Ihnen viel Spass und gutes Wetter in der Campingsaison 2012 und würden und freuen, Sie auf dem Camping Islas in Filisur begrüssen zu dürfen. Would you like to book Campsite Islas or request more information? You can do both using the information below or by visiting the campsite's website. From Tiefencastel, first direction Davos/Albula, then Albula. Follow signs. The Albula bypass is difficult to drive in the other direction by caravan. CampingCard ACSI will send your information request to "Campsite Islas".